TAIPEI - A military crisis at sea between China and Japan will seriously undermine Beijing’s path of peaceful development and its “Belt and Road” initiative, according to an internal magazine of the People’s Liberation Army obtained by Kyodo News. The article, authored by two military officers at the Naval Military Research Institute and Dalian Naval Academy, strongly suggests that the likelihood of a China-Japan military crisis at sea is increasing due to long-standing disputes over the sovereignty of the Senkaku Islands, maritime demarcation in the East China Sea and the development of maritime resources in the area. While China and Japan are working on improving bilateral relations, the article, which appeared in the April 2017 issue of the magazine, warns that a slight misjudgment of the above issues could easily lead to a maritime crisis. That, in turn, could jeopardize Beijing’s Belt and Road project, which is aimed at connecting China by land and sea to Southeast Asia, Pakistan and Central Asia, and beyond to the Middle East, Europe and Africa. Potential areas that could trigger a military crisis between the two Asian powers include construction projects at sea, the intention of which varies greatly depending on the country, it said. “We build it for the mere purpose of safeguarding our sovereignty and territorial dignity, but Japan aims to control its neighboring oceans and expand its living space,” the report says. 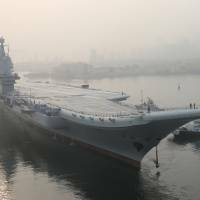 The second area ripe for a potential military crisis between China and Japan is the East China Sea, in particular the Japan-administered Senkakus, which are also claimed by China, where they are known as the Diaoyu, and Taiwan, which calls them Tiaoyutai. Tensions between Japan and China escalated after the Japanese government effectively put the group of uninhabited islands under state control by buying them from their private Japanese owner in September 2012. The third area where a potential military crisis could arise between China and Japan is the Taiwan Strait and the South China Sea, a major transportation route between Japan and the Indian Ocean. In the Taiwan Strait, the article says Japan’s strategy is to strengthen relations with Taiwan and work with the self-governing island and the United States to contain China. In the South China Sea, Japan is working with certain Southeast Asian nations and the U.S. to heighten tensions and challenge China’s “legitimate actions to protect its national sovereignty in the area,” the article claims. To prevent the above areas from developing into a military crisis, it suggests six measures. The first is to ensure both sides maintain high-level official contacts and “properly handle” long-standing disputes, while the second is to have both establish a military confidence-building mechanism and strengthen military exchanges. Recognizing that the disputes over the Senkakus and the demarcation of the East China Sea cannot be resolved overnight, the article advised, as a third measure, that Beijing and Tokyo establish a “highly efficient” crisis management mechanism that involves government agencies related to such fields as defense, diplomacy, and maritime affairs. The fourth is to strengthen the capacity for managing a military crisis, including through academic study of maritime crisis management. 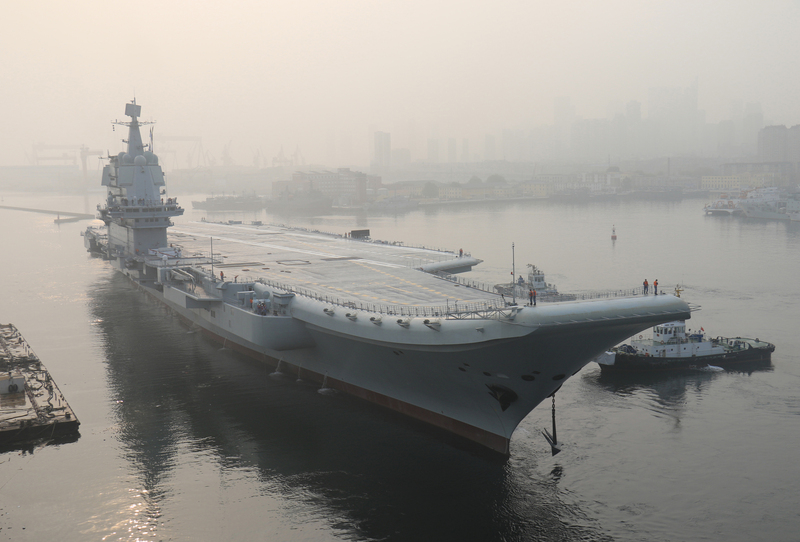 Finally, the sixth measure calls for China to build a strong navy to ensure its maritime supremacy. Describing Japan as a country that has a tradition of “not making enemies with a strong country,” the article says it is vital for China to spread its naval power. “Only by securing maritime supremacy can we make our adversary flinch,” it says.